The library is staffed by volunteers. We choose and process new books, promote reading, keep the shelves and online catalog in order and follow up on checked out books. On the job training will be happily provided. Interested contact Doris Gould. Our support of ARZA, which represents Reform Judaism in Israel, helps to strengthen our values of religious pluralism, rights of women and a stronger democracy in Israel. The election for the World Zionist Congress is our once every 5 years opportunity as Diaspora Jews to make our voices heard in Israeli affairs. Please go to www.reformjews4israel.org to learn more. Note there is a small nominal fee to fund the process of the vote. The strength of the ARZA delegation to the World Zionist Congress is vitally important, both for the Reform Movement in Israel and to help make Israel the kind of country we as Reform Jews desire. Greg Miller is the Am Shalom liaison to ARZA, please contact Greg Miller. Donate money to purchase food items, donate gently used winter clothes (especially coats, boots, hats, gloves, and mittens), or work a shift and help with the Bethlehem Healing Temple Thanksgiving Meal Drive. To donate money to help fund the meal, click here. To donate gently used clothing, shoes, coats, mittens and gloves, please bring to Am Shalom by November 16th. To volunteer at Bethlehem Healing Temple (on November 18, 2017), contact Nina Schroeder ninas8888@gmail.com. To extend the reach of the clergy through follow up calls and visits with congregants who are in the hospital, nursing facility or homebound, and provide support for caregivers. Do you love to COOK? Or maybe you like to ORDER IN! Do you want to SHARE MEALS with those in need? We are putting together a list of people who are interested and able to provide meals for those in need. This is NOT a long term commitment, just a willingness to be on our Mitzvah Meal Maker list. You'll get an occasional email from us offering a meal-making opportunity to you. If cooking is not your thing, what about DRIVING?? Would you like to help someone who is unable to drive attend a Temple event? We are looking for members who would be willing to provide transportation to Friday night Services, Saturday morning Torah Study, or other Temple Events for some of our members who do not drive. This is not a permanent commitment, just a willingness to sign up and be part of our Transportation Core. We will email you when there’s a need and you can sign up if it’s convenient for you. For information please contact Ellin Blumenthal. 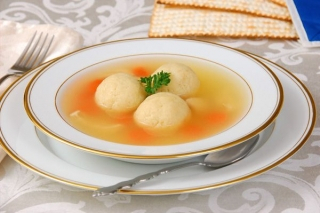 Help us stock the freezer with Jewish Penicillin. 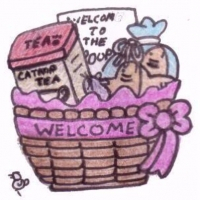 Join the Chicken Soup group! We supply the containers and label your homemade soup stored in the freezer at Am Shalom for our Chesed members to deliver when we hear of a congregant who could use a booster of Jewish Penicillin. Likewise if you need a dose yourself, let us know! Contact Nancy Kaplan if you would like to participate and we will arrange for you to have the containers. Stop by the Am Shalom Kitchen on the 3rd Sunday of the month at 9:00 am and be part of the fun, fast-moving assembly line making hundreds of meals! Volunteer helpers of ALL ages welcome! Check out this great article about our program in the Pioneer Press! Volunteer for our annual FUNdraiser to help plan the details or staff the event we host each spring. The talent for past events has included Mandy Patinkin, Peter Yarrow, Theo Bikel, Michelle Citrin, Robert Klein, and the Capitol Steps. Who knows what next year holds? Contact Laura Horn if you'd like to take part in putting together the party of the year. Amazing things happen at the Glencoe Community Garden, whose motto is "We Grow it, Give it to those in Need and Compost the Rest!" The GCG is a social service project for all ages and abilities! Begun in 2012 as a gift to the community by Am Shalom, the Garden has grown its mini farm and compost collaborative to 10,000 square feet. It has donated 100% of its harvests amounting to over 13,000 pounds of organic veggies and herbs to Chicagoland food pantries and kitchens, saved hundreds of gallons of commercial and residential kitchen waste from landfill and provided quarterly, free educational programming. Every hand makes a difference . . . and many hands gets the job done! To get it all done, there is always a need for drivers, carpenters, marketing and social media helpers along with folks to plant, harvest and compost. You don't need a green thumb, just a big heart. Come be part of Am Shalom's gift to the community! Together we can make Season 6 even more successful than our last one! For more information, please email gcgarden18@gmail.com. Calling all coffee lovers! Come volunteer at our Java Nagilah Cafe. Help hand out some great cups of coffee and get to know our Am Shalom members in the Community Court by our Java Negillah coffee cart on Sunday mornings during Religious School. Contact Barbara Breakstone for more details! 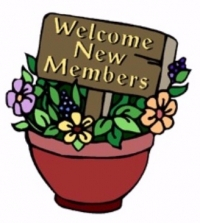 The Membership Integration Committee welcomes new members to the Am Shalom community. Am Shalom hosts various new member events throughout the year; two such events are a dinner at the temple following a Shabbat service in late summer, and a new member coffee at Rabbi Lowenstein’s home in the fall. Please join us! For information about the Membership Integration Committee contact Annie Goodman. Throughout the year Am Shalom oganizes clothing, food and other necessities for people in need. Help us organize one of our drives. Whether it's for winter coats, gloves and hats or to restock the food pantry this is a wonderful opportunity to get involved at Am Shalom. Please contact Rabbi Phyllis Sommer for more information. We always need someone to help pick up food that has been donated each week that we use for our The Fanchon Simons' Feed the Hungry program. The pick up locations include a local Starbucks, Chipotle in Highland Park and Deerfield Bakery in Buffalo Grove. This is a great family project! If you would like more information about these opportunities please contact Jackie Stein. Provide dinner for a congregant recently home from the hospital, recovering from an illness or undergoing treatment. No need to be a gourmet chef, just a healthy meal to make someone's day a little easier. Whatever the reason there are times that a homemade dinner is a welcome change from take out! Sign up to provide a dinner. To learn more contact Ellen Stafman. Shabbat Baskets to congregants who are ill or have suffered a loss. The committee meets one Friday morning a month (usually the 2nd Friday) to pack baskets, which takes about 1/2 hour. Baskets can then be delivered at your convenience during the day. This is meaningful involvement without a big time commitment. You can come whatever months you are available. If you are interested in learning more about Shabbat Basket Committee or want to participate, send your email address to Laurie Levin. Our program is small and growing. It is pretty simple though, our volunteers just enjoy being able to help someone else. It doesn’t take much time, is flexible and personally gratifying. Some of our volunteers have formed friendships with people they would have never known. And, if the situation ever arises where you or someone you know, could use the help of WE CARE volunteers, please get in touch with one of us. So, if you are willing to be part of our WE CARE database and are open to being contacted, please email us. We hope to hear from you. Am Shalom hosts various new member events throughout the year; two such events are a barbeque at the temple following a Shabbat service in late summer, and a new member coffee at Rabbi Lowenstein’s home in the fall. The committee gathers at Am Shalom on a Friday morning in fall to assemble Shabbat welcome baskets (Shabbat candles, challah, wine, cookies, flowers and a lovely Shabbat prayer booklet) and deliver them to new members. The volunteers enjoy the camaraderie and the opportunity to do a mitzvah, and the new members appreciate receiving the welcome baskets. Please join us! For information about the Membership Integration Committee contact Annie Goodman. Work a shift or simply help us purchase items for the Thanksgiving Winthrop Harbor event. Am Shalom has worked with Father Pat Devlin, the pastor who sets up the Thanksgiving meal with the City Winthrop Harbor Community Center operated by the City, located at 2700 9th Street, Winthrop Harbor and tells us based on the needs each year what we should supply for the Goodie Bags. In order to more effectively coordinate our efforts, this year we are taking donations to help us purchase contents for 150 Goodie Bags. We are also collecting gently used clothing, shoes, warm coats, and mittens/gloves. To donate money to help fund the Goodie Bags, please click here. If you would like to volunteer to help serve the meal or help in the kitchen, please e-mail ninas8888@gmail.com.